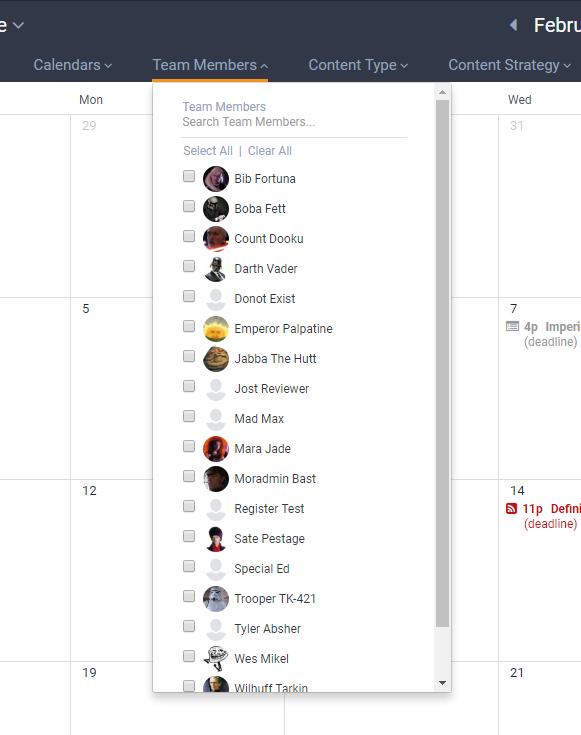 This article provides an overview of the Team Members filter in the DivvyHQ Calendar Interface. When planning content projects, resource allocation may play a big role in who gets assigned various projects. Or you might simply be wondering what someone on your team is working on today, tomorrow or later this week. Within the DivvyHQ calendar interface, you have the ability to filter all content items by Team Member (or a group of users), which will give you a simple view of the content items they either own or been assigned.